One of my favorite things about Spider-Man isn’t the scope or the scale—it’s a little musical touch that I’ll bet took a lot of time to get right. You see, whenever you’re perched on a roof or ledge in the new superhero game, which comes out tomorrow for PS4, you’ll start off in complete silence. 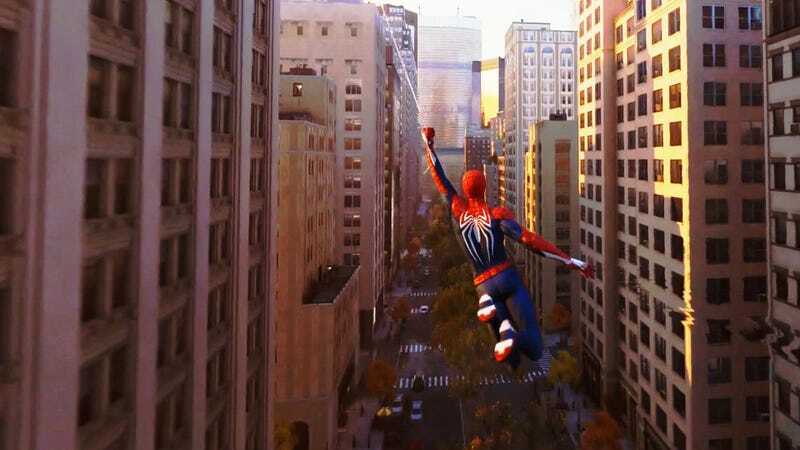 Then, once you jump into the air and begin swinging from building to building, the music will swell, dynamically weaving in and out as you start and stop swinging. This one tiny flourish has a massive impact, making it feel like you’re entering a superhero movie every time you start moving. It’s the type of thing you might not even think about, but it’s just as important to the overall sensation as the way Spider-Man’s webs look or feel. And it’s just one reason this game is so great.